AE911Truth needs your help in locating a History Channel TV interview with World Trade Center Building 7 owner Larry Silverstein, in which he admitted point-blank that the building was purposely demolished on September 11, 2001. We're not referring to his "pull it" remark from the 2002 PBS documentary "America Rebuilds" — a comment that stirred enormous controversy and caused Silverstein's spokesperson to claim later that he merely meant pulling the firefighters from WTC 7 before it collapsed from supposedly extensive fire damage. 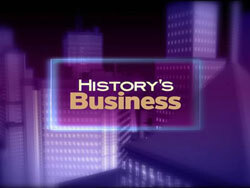 Unlike other History series, "History's Business" episodes are not available to the public for purchase, nor can a complete listing of its past episodes be found on the Internet. In the interview we're searching for, Silverstein, whose Silverstein Properties owns WTC 7, was asked by the show's guest host, "What happened to 7?" Silverstein's unforgettable reply: "Building 7 was a controlled demolition for safety reasons," according to an engineer who was watching the program that morning. Until that point, the engineer had been "perplexed as to why Building 7 had completely collapsed so quickly and so symmetrically." For that reason, Silverstein's answer is still emblazoned in his memory. "I distinctly remember two things about the TV program," the engineer notes. "One was that it showed the new Freedom Tower design. It was the first time I'd seen it. There had been a design competition, and the winner's design was unveiled in December 2003. That's how I know the date of the show was either late 2003 or early 2004. The other part that sticks in my mind is Larry Silverstein's response to the host's question, 'What happened to 7?'" Two years later, the engineer happened upon a paper on the Internet that was written by physics professor Steven Jones, titled "Why Indeed Did the World Trade Center Buildings Completely Collapse?" In it, Jones disputed the official finding of the National Institute of Standards and Technology (NIST) that fires brought down the three buildings and made the case that controlled demolition had to have been the cause of the three collapses. The engineer was so impressed with Jones' thesis that his interest in how the Twin Towers and Building 7 had actually been leveled was rekindled. The Silverstein interview, which the engineer had put in the back of his mind, immediately moved to the front. "At that point," he explains, "I called The History Channel to try to get a copy of the show I'd seen. I was told that the series wasn't available to the public." Not one to give up easily, the engineer asked colleagues if they had heard of or seen the show. 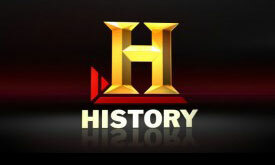 None had, but several made inquiries at The History Channel. They, too, came up empty-handed. "One of them," the engineer recounts, "reached a producer of the show and the next thing he knew, an attorney was emailing him with a warning to cease and desist unless he had a subpoena! The engineer clarifies that he is not confusing this interview with Silverstein's earlier appearance on an episode of "History's Business" that ran in September 2002. "We did acquire a tape of that episode," the engineer relates, "and in it nothing was said about the new Freedom Tower design or about WTC 7's fall." "Interestingly, when you look for 'History's Business' episodes over the years, a lot of them are missing." Another distinguishing mark of the late 2003 or early 2004 episode is that a guest host, whose name the engineer didn't retain, was filling in for regular host Sander Vanocur. Meanwhile, in the fall of 2006, just a few months after the engineer ran across Steven Jones' paper, he discovered that a new non-profit group comprised of architects and engineers had been founded earlier that year by architect Richard Gage. The engineer was instantly drawn to the AE911Truth goal of documenting the forensic evidence and the video and eyewitness testimony at the World Trade Center, all of which demonstrate that the government's account of 9/11 was baseless. Shortly afterward, he signed the AE911Truth petition that calls for a new, independent, unbiased investigation of how the three New York City skyscrapers were destroyed on that tragic day. Its signatories are degreed and/or licensed (always thoroughly vetted) professional architects and engineers. Fast forward to the present. 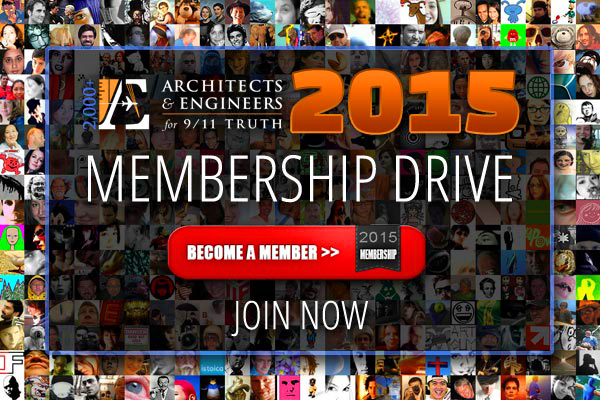 The engineer has been working closely with AE911Truth in its pursuit of legal actions against NIST, including its proposed filing of a Freedom of Information Act lawsuit to obtain all data relevant to that government agency's WTC investigations. Obviously, finding Silverstein's confession — made a decade ago on "History's Business" — that WTC 7 was a planned demolition would strengthen AE911Truth’s case for legal action against NIST. And that's why we need your help. We're offering a $200 cash reward to the first person who can locate a recording of this episode of "History's Business." It seems likely, given the subject matter, that someone would have recorded it. Send us word that you have this game-changing episode and claim your reward!